She obtained a PhD in geography from the University of Calgary (Canada). After brief collaborations with universities in Venice, she worked at Calgary, becoming full professor of geography in 2017. She joined LaGes in 2018. Her research integrates a quantitative approach in human and environmental geography, focusing on health geography. Her research yields analyses and models that focus on environmental and socioeconomic determinants of health, at various geographic scales. Her analytical tools are geographical information systems and geospatial analysis, more specifically spatial regression models. An epistemological investigation leads to developing methods to increase the reliability of model estimates. Her research bears theoretical value, while yielding valuable analyses for environmental management and health policies. 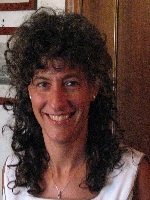 Her work on environmental and socioeconomic determinants of health includes land use regression (LUR) models to estimate air pollution at fine spatial scale, models of ocean pollution and maritime activities, and analyses of the association of health, socio-economic status, and the built environment. She collaborates on a variety of health research projects, contributing to address questions of location, accessibility, and the spatial determinants of health.